Nawabi dynasty of Awadh that started in the first quarter of 18th Century came to a tragic end in 1857. Glancing in the pages of history we can see East India Company that was founded to trade in India acquired power in 1757 when the Nawab of Bengal Shiraz ud Doula got defeated by them. In Lucknow they were sharing power with Nawabs or vice versa. But in 1857, the Sepoi Mutiny erupted and spread in Northern and Central India like a raging fire. British houses were attacked near Lucknow. British from different portion of India took refuge in Residency Building, Lucknow. 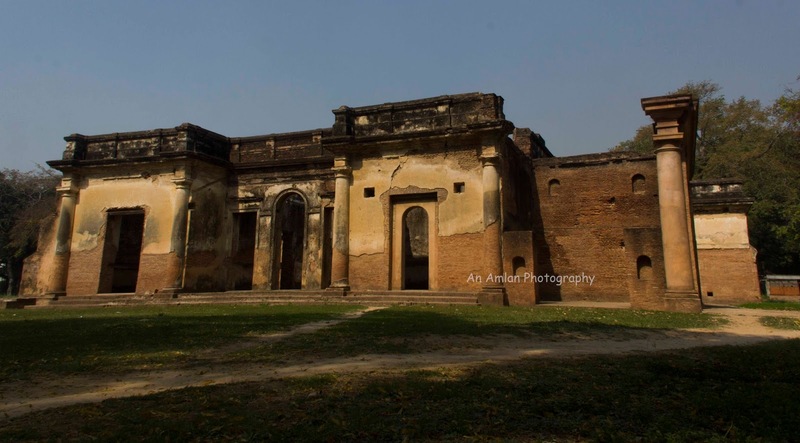 Residency was a group of buildings originally built in 1800 by Nawab Saadat Ali Khan and then served as the residence of the Chief Commissioner who was British representative in the court of the Nawab. On a beautiful rainy day of June, 1857, when the refugees of Residency were enjoying a peter-patter of rain drops experienced the first boom of cannon shells and bang of musket shots. The residency got under siege. This was the beginning. For five months Residency faced shelling-counter shelling and the entire complex got shattered. There is no need to drag the history. Most of the readers of this post are aware of the above disaster. Specially the people of India have to know this otherwise they don’t get the certificate of class 10 board examination!!! 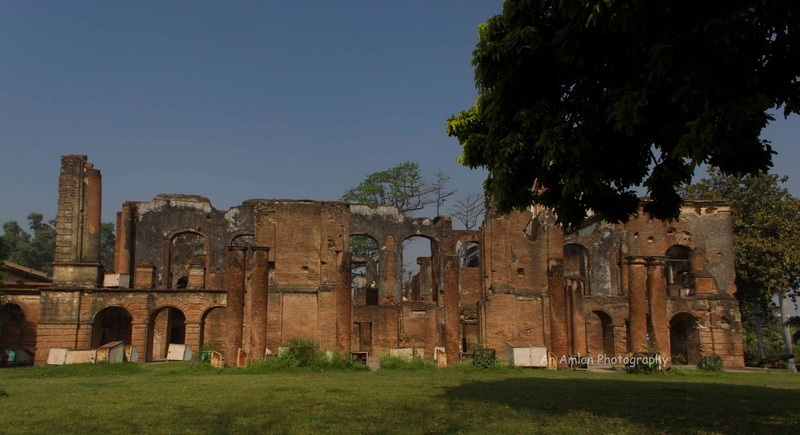 So, let’s keep the history apart and explore the ruins of Residency complex. 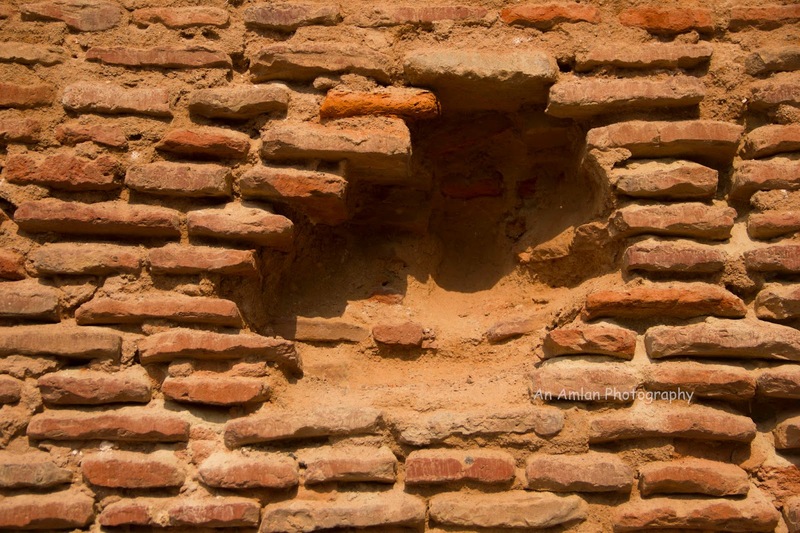 The marks of the cannon are still there in the walls of the buildings of Residency complex. Please start viewing residency at early morning. Later the complex becomes the “eden gardens” for the young love birds with an extreme form PDA – Public Display of Affection. Please look at the map carefully. You need to take a guide for more detail. 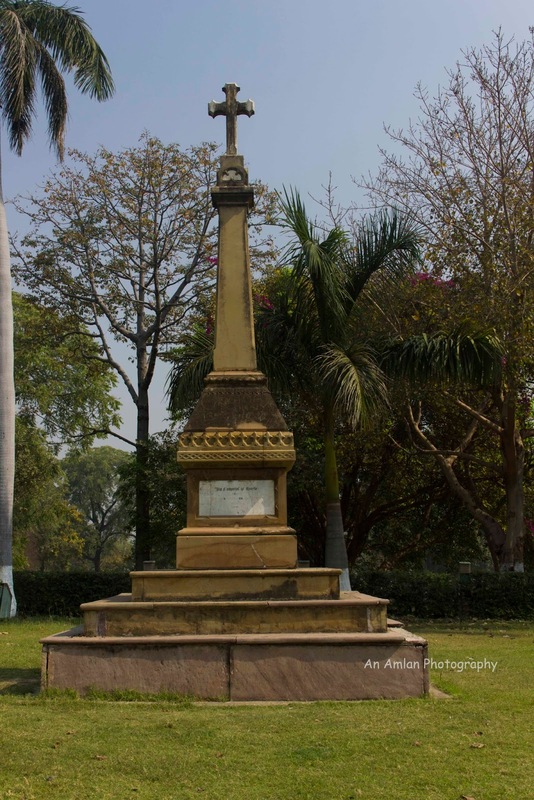 As you enter from the gate first there is a memorial pillar of the devoted native officers and sepoy. The next building is the Treasury House. The Treasury House is double storeyed building decorated with Rajput and onventional Awadh arches. 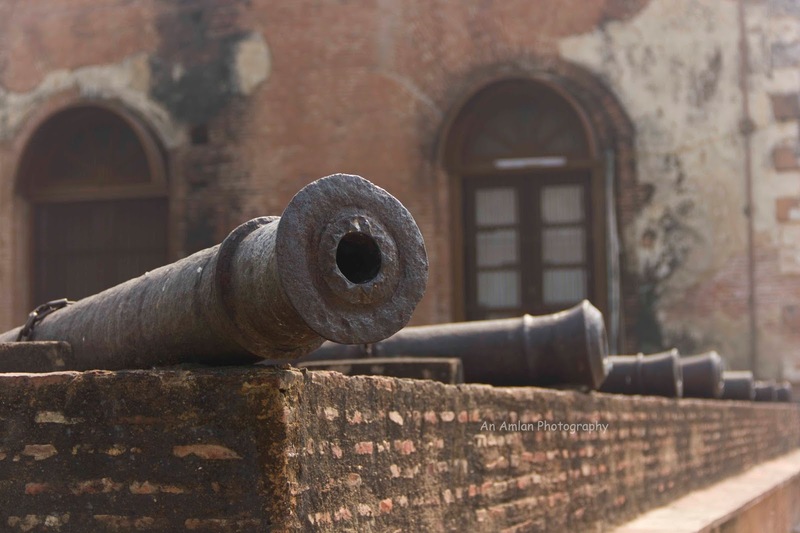 During the mutiny, it was converted into an ordinance factory to manufacture Enfield Cartridges. Next to the Treasury House, the Banquet Hall is located. Nawab Saadat Ali Khan had built this building for the British Residents and his special guests as Daavat Khana (Dinning Hall). This was the most imposing structure in the entire complex but almost shattered by the cannon shells. Historians say that the fine furniture in the hall is complemented by high quality of workmanship. There was a doctor in the Residency complex – Dr. Fayrer. He stayed in a large building with a flat roof and low ceilings. It had a tehkhana to give shelter to the pregnant ladies. Dr. Fayrer’s House is diagonally opposite to Treasury House and Banquet Hall. 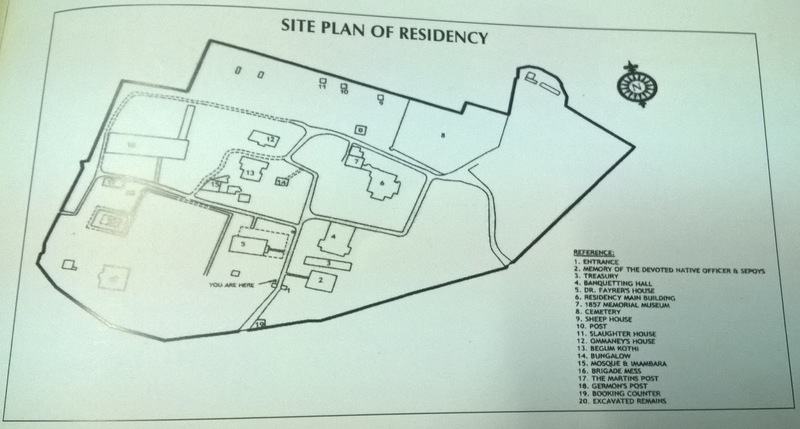 Dear readers, you need to walk along the main road that will lead to the Residency Main Building. 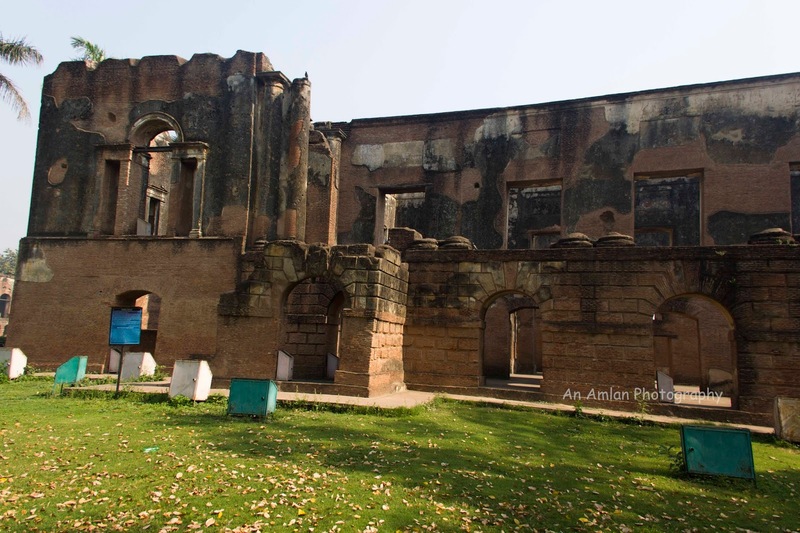 The main Residency Building was constructed during the regime of Nawab Saadat Ali Khan and was used by the Resident and the Chief Commissioner of Awadh till 1857. 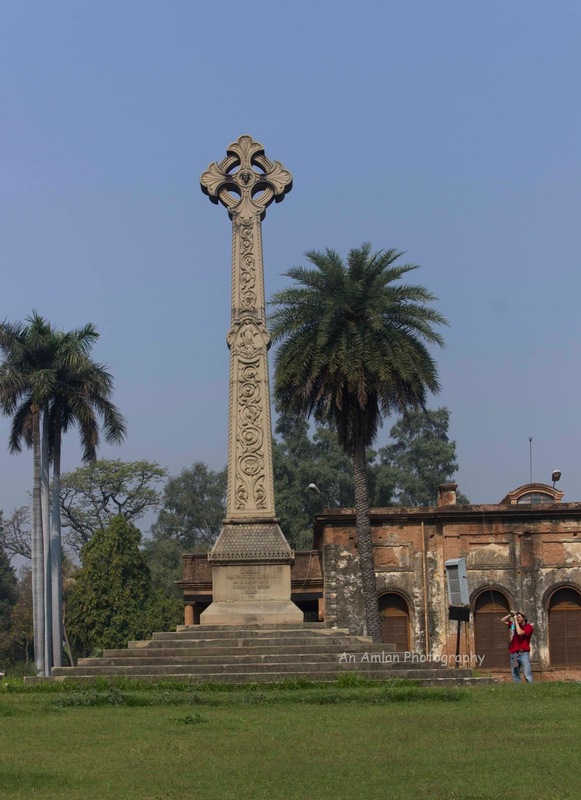 The building was erected to the second heighest spot (after the minarets of Asafi Mosque, Bara Imambara) in Lucknow. It provided a very imposing view over the city, towards the south and east and of the descending slope towards the river Gomti on the north. The main entrance of the building was from eastern side. During the siege, the main entrance was barricaded with boxes filled with furniture, books. The skeleton of the ruined building is now standing like a skeleton with marks of cannon shells in its bones. The museum is adjacent to the main building. You can go inside it now or at the end. Walking down the main road you will see a bifurcation where the cemetery is located in the east followed by sheep house, post and slaughter house in a queue. After seeing the ruins of Slaughter’s House if you come back with the main road, you will see Ommaney’s House in left side. It was a double storeyed building and owned by Mr. Ommaney, a judicial commissioner. On July 1857 he was killed by the hit of a cannon ball. Next building is Begum Kothi. 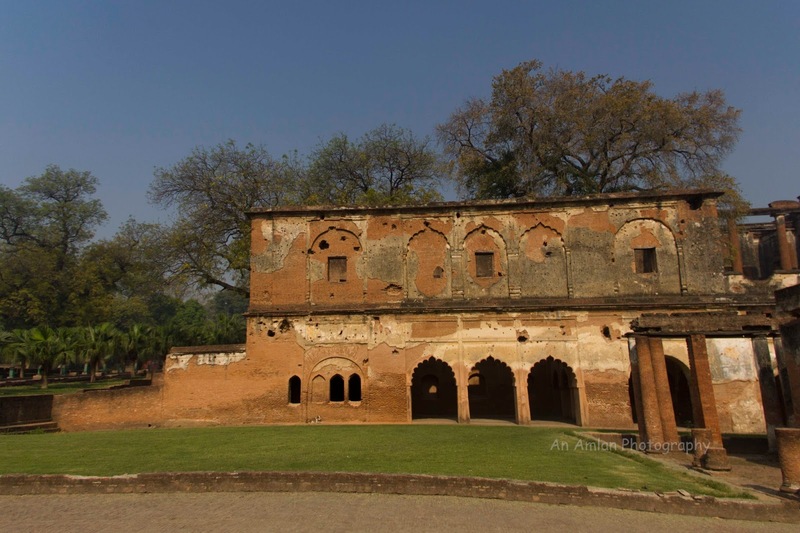 Begum Kothi is probably the oldest structure of the Residency complex. 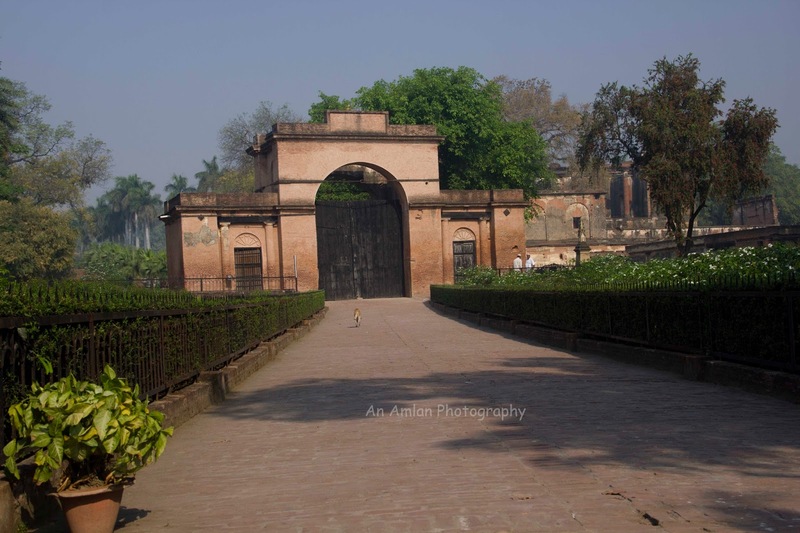 It was built by the pioneer of Lucknow Nawab Asaf Ud Doula who brought renaissance in Lucknow. 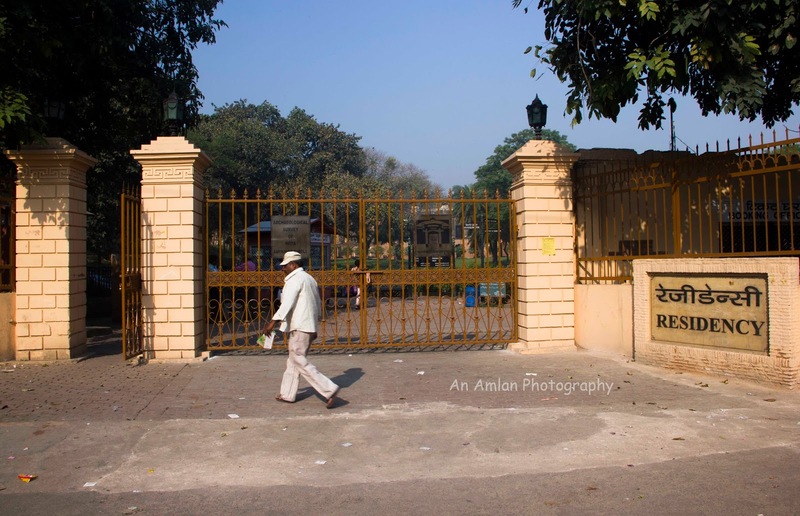 Nawab sold this bungalow to Sacville Marcus Taylor who in turn sold it to George Prendergast. The owner of the bungalow again got changed when George sold it to John Culloden. Nawab Nasir-ud-Din Haider married the granddaughter of Mr. Culloden – Malika Mukhdarah Aliya or Vilayati Begum (British wife). Hence the name of the building “Begum Kothi” was given. 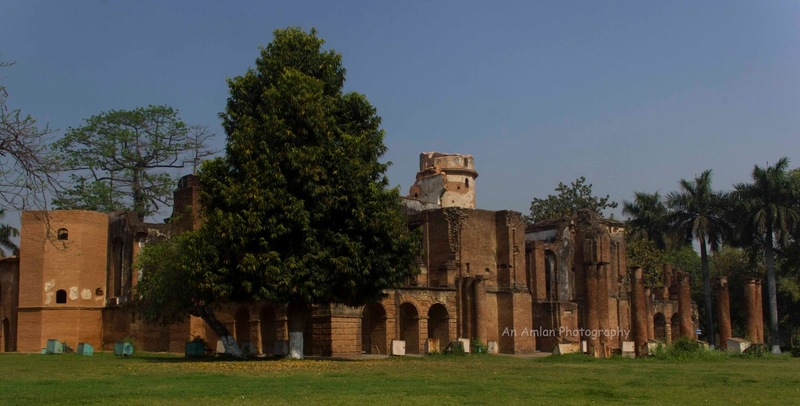 Unlike the other building of Residency, Begum Kothi was built in traditional architecture of Lucknow. After the death of Nawab Nasir-ud-Din Haider, her mother and step sister Ashrafunnisa came and stayed here. Ashrafunnisa built a mosque and an imambara adjacent to Begum Kothi. 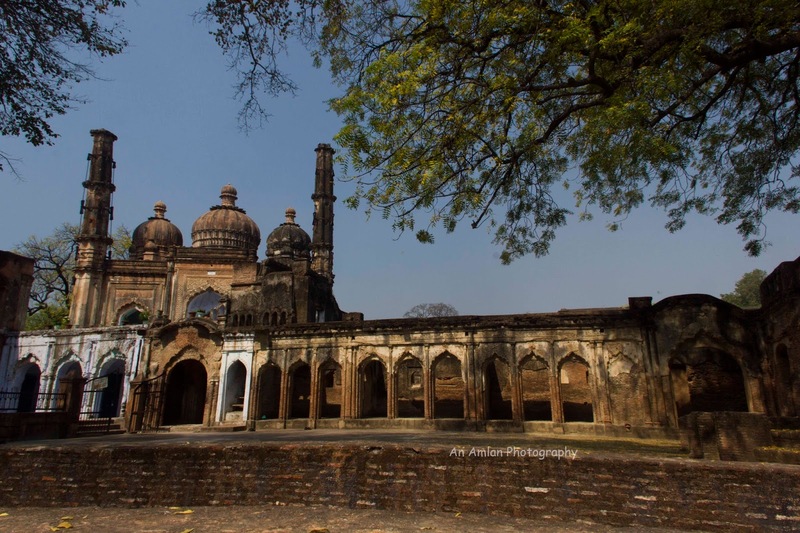 The Imambara is now roofless and in almost damaged but the mosque is in a much better state. Though its domes got damaged during the war. Both the Mosque and the Imambara are a good example of stucco art work. Walking straight you will find some ruins of Brigade Mess, The Martin’s Post and Germon’s Post. On the way back, you can see the war museum but I was really not interested to go inside it. The fresh marks of cannon balls told me the entire story. I could see the sepoy mutiny in front of my eyes. My ears could hear the sound of the shells, the screams and cry of the unfortunate women and children. And a great architectural complex was getting destroyed in front of my eyes.